If popular culture is any indication, zombies are the most serious, imminent threat to our society. When the virus breaks out, you want to be prepared. Be ready to barricade your home so that the roaming horde can’t break in. Stockpile lots of non-perishable foods in a secret location where they won’t be found by hostile gangs of survivors. And most importantly, train your horse to aim for the head. 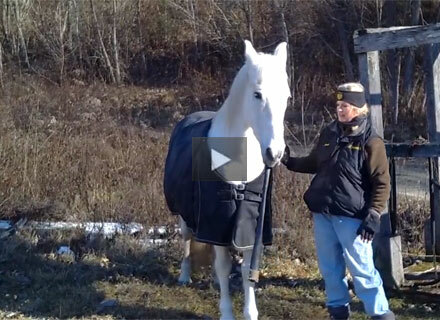 This week, trainer Sarah and her attack horse Uther show us how to prepare using clicker training techniques. Enjoy, and stay safe out there. Who knew equestrian helmets could be so versatile? Enjoy this classic clip from the British comedy sketch show French and Saunders. 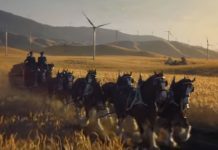 Watch what happens when a rollerblader teams up with a horse. 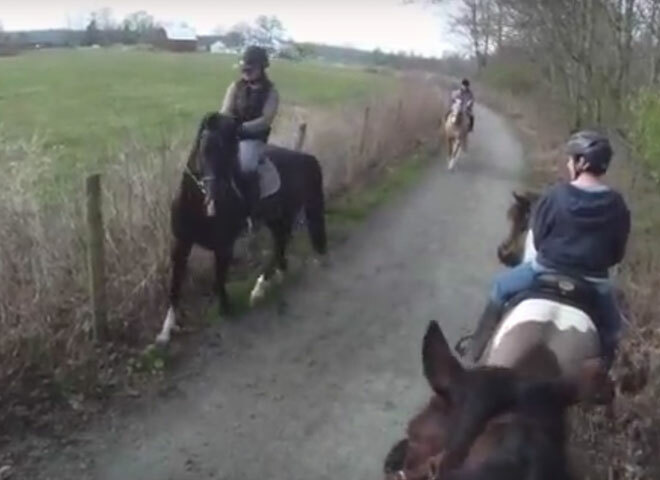 Poor Ozzy thinks he’s enjoying a nice, relaxing trail, but the other horses disagree. I loved it. Great last thing to watch before I head to bed. 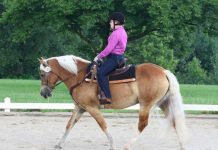 Got to teach my horse this. I bet he’s love it. Well, that’s all I can say. I think get on and giddy up out of there would be better! Okay, let me know if it works, I’ll be riding out of town! Hi Ho Silver!